Go below and click on Shades of Gray #1 to download "FREE" ebook to start the scifi action adventure series. Ebooks available from places like Amazon, Google, Apple, Barnes and Noble, and Kobo. Click on a cover or one of the links to find out more and read the first two books for FREE. Synopsis below links. Synopsis: Twilight... it is either the first rays of dawn or the last glimpse of light before night falls, ending all things and bringing about a Closing of Days. The Pandora Project will bring Twilight to a world on the brink of doom, but which Twilight will she bring? A doom was looming over the planet, a great darkness that could bring about the Closing of Days. Two women would be brought together... One was a legal assassin or Life Closer known as the Phoenix and the other was an experiment known as the Pandora Project who would either bring about a Twilight that would be the first rays of dawn or a Twilight that would usher in the darkness forever. Follow these women as their paths cross. Books are available on Amazon Kindle, Apple Books and Apple iTunes, Barnes and Noble Nook, Google Play, Google Books, Kobo / Walmart Books, Scribd.com, Smashwords.com, and other stores and devices. Kat awakes to a world where she has no rights as an experiment. She is hunted by Un-Man ( robot hitmen ), Life Closers ( legal assassins ), and bounty hunters. Kat has another problem. She has no memory. Can Kim, a Life Closer, help her discover her past and find out why she is called the Pandora Project or will Kim only kill her when she no longer needs her? On a parallel Earth, thick puffy barriercumulus also known as Dry Clouds covered the sky, and they prevented the glimmer of twilight from shining on the city of Noir. For three decades, the polluted high-troposphere looming clouds covered half the planet and left part of the world to live in endless night. The mile-thick clouds yielded petroleum based contaminated water dubbed Tainted Rain and polluted the air, and so they were named Dry Clouds for leaving half the planet without drinkable water. At first, scientists believed pollution caused the great cloud barrier, but that theory proved to be false. What caused the Dry Clouds to form baffled scientists and how to reverse them eluded reason, and only technology's constant battle with nature has kept the dark city alive. Man's need for conquest expanded Noir to cover more than half a continent of what would have been called North America, and Noir became a Mega-city; it was the only one in the world. Over the last twenty years, Transgenics and bio-mechas evolved at a breakneck pace. Transgenics were genetically modified organisms with an extra-genome and were mostly plants produced to survive without the sun. Bio-mechas were robots resembling living things. Isaiah 5:30b If one looks to the land, behold, darkness and sorrow, even the light will be darkened by the clouds. A few hours ago, unknown forces had breached a few of the Council's other facilities, and the Sanctum had also been breached but from within by a Mole, so everyone was still on high alert. The Chamber was the brains of the Sanctum, and the three members of the Council sat within the Chamber, receiving intel and updates from the Chamber Analysts. Fifty flat screen monitors covered three of the walls and lit up the dark inner room of the Chamber as data filled the screens in scrolling masses. Two dozen analysts scrutinized the influx of information coming across the monitors as they typed at their workstations. The men and women toiled, compiling a range of intelligence from several projects and experiments while they also dealt with the breaches. "All right people, let's stay focused," a male supervisor shouted. The male supervisor walked up and down the line of workstations as the hum of equipment and the chatter of the workers filled the area. The supervisor received updated reports from the analysts and kept his employers, the Council, current on the projects and experiments along with updates to the three breaches. A female supervisor came in to fill in for Supervisor Annette who had been found out to be the Mole. Unknown to the Council, Supervisor Annette had been a Mole within the Sanctum for years and with the help of some outside force, she had awakened a project known as Pandora, who had been kept at the Sanctum in stasis. The male supervisor added, "We need to stay on our toes! We don't know if there are any more Moles within our ranks or what they might do next!" The analysts wore indigo jumpsuits with white stripes on the sides, and the supervisors wore crimson jumpsuits with white stripes. Both the analysts and supervisors wore a wireless earpiece to communicate with operatives in the field and soldiers within their facilities. In the center of the Chamber, the Council which consisted of two men and a woman sat at a long rectangular table. Each of them wore a black business suit and had a laptop in front of them as shadows concealed their eyes, leaving only their mouths and chins visible in the computer-blue illumination. The three scanned reports as they were delivered to them by the supervisors on Hand Held Computers. The standard size for an H.H.C. was two and a half inches by four and a half inches. "I want an update on the Pandora Project," Mr. Morta ordered in a deep voice as he sat at the end of the table with the woman to his right and the other man to his left. "Pandora is still groggy from its abrupt withdraw from stasis, so it has been escorted to a medical suite and is sleeping," Ms. Nona replied. "The doctor thought it best that the Pandora Project was not fully awakened but allowed to pull out of the hyper-stasis naturally." "There is nothing natural about the Pandora Project," Mr. Decuma spoke up. "I do not see why we cannot induce a full activation." "We are not in any hurry," Mr. Morta stated. "We had no plans to wake up Pandora, so we should tell the doctor to allow Pandora to come to on its own." Ms. Nona nodded her agreement and then Mr. Decuma reluctantly did so. "Good... Good... I will inform the doctor," Mr. Morta said. "Now to address other matters. I believe we should have a full investigation into how our security was breached. We should–"
An alarm went off, interrupting him as all three Council members paused and turned to the male supervisor as he rushed over to their table. "What has happened?" Mr. Morta inquired. The male supervisor replied, "We have a containment breach in another one of our hyper-stasis chambers!" "Which one?" Mr. Decuma questioned. "The Kraken Project," the male supervisor answered. "If I remember–" Ms. Nona started, "–Kraken is the creature created to glimpse into the future." "It is," Mr. Decuma replied. "It was deemed a failure for Kraken had more of an appetite for carnage than to indulge us with its gifts." The male supervisor listened to his earpiece and then reported, "It has escaped its room, and it's rampaging on Level 159." "Level 159 is the same level Pandora is on. Could this also be a part of the earlier attack on our facilities?" Ms. Nona questioned. "Is someone still trying to take the Pandora Project away from us?" The male supervisor replied, "I do not believe so. An experiment was being conducted next door to the Kraken Project's stasis room, and the experiment went out of control and exploded. The explosion knocked out the hyper-stasis chamber's power source along with its back up, and Kraken awoke, and so far, the creature has killed three of our soldiers." Mr. Decuma spoke up, "I cannot believe that this is a mere coincidence but..." "But what?" Ms. Nona inquired when he didn't finish. Mr. Decuma didn't answer her but posed a different question altogether, "Why not use the Kraken Project to test Pandora?" "We cannot control Kraken and is the reason it was placed in stasis," Mr. Morta stated, and then he inquired, "How do you propose that we use it to test Pandora?" "Just evacuate all the workers on Level 159, and Kraken will do the rest for us," Mr. Decuma replied. Ms. Nona nodded and then Mr. Morta. "I will set up the test now," Mr. Decuma stated. "I will also make sure that our soldiers keep Pandora and Kraken on Level 159." * * * Level 159... Sometime earlier... The Pandora Project's view... Someone's calling my name from the darkness... Someone desperately needs my help... I have to save them, so I slip from sleep into the waking world, and the first thing I notice is that I'm cold. I shiver, and then I hear the voice of a man. "I'm with her now," he says. "I'll call you later when I know more." I open my eyes to what looks like a hospital room. The sight doesn't alarm me as if it's the norm, but there's someone who's looking down at me that I don't recognize. He... My mind's a little fuzzy... He must be a doctor, and he looks very worried. "Drink this," he says. "It's water." I take the bottled water and thirstily drink it down. "We need to go," he tells me. "Can you move?" I don't say anything to him as I try to sit up, and I find that I can't do it on my own, so he moves to my side and assists me to a sitting position. I look around the room and realize I don't know how I got here, but I'm still not upset that I'm in a hospital room as if this place is home. I try to think back beyond the moment I heard someone calling my name. I don't remember anything beyond that moment. It's all fuzzy and then panic sweeps over me like water filling a sinking ship that I'm trapped on. I grip his wrist tightly. "How did I get here and where is here?" I ask him and pull on his arm so that he'll lean in closer, and then I tell him, "I don't remember my name." My name had been so clear when I was sleeping. I knew it when the person called it out but now... it's as if I never had a name and that thought is what sends me into panic mode, no, sends me into nuclear-panic mode. "I would like to answer you in more detail than just to say that it's a side effect of the hyper-stasis chamber, but we need to go and go now. Please try to stand." The urgency of his voice spurs me to action as I take both his hands and stand wobbly to my feet, leaving behind my questions. I see that I'm wearing some sort of hospital gown a second before my knees buckle underneath me. He catches me before I crumble to the ground and then helps me over to a computer chair, and I sit. He hurries over to the door, peers out the window as if he expects someone to come barging in, and then quickly returns to my side. "I'm going to inject you with something that should help with the hyper-stasis lag," he tells me as he removes a syringe from his white lab coat pocket. "I didn't inject you right away because there is a side effect of the injection. It's going to make you sick, but the effects should only last for a few minutes." He readies the syringe as he tells me, "You should regain full use of your body again." He doesn't give me a chance to tell him if I want the injection or not, and he just sticks the needle in my arm. The prick hurts, and I rub my arm. I don't feel any different, but gunfire some distance away from us pulls my attention and his to the door. "We have to go," he tells me with more urgency than before. I get to my feet with his help, and we head for the exit. He opens the door, peers outside, and then ushers me into a vacant hallway. He helps me along as we hurriedly walk in a direction he seems to be leading us in. We hear gunfire again coming from behind us, and then we hear this terrifying inhuman scream that's full of anger as something attacks the people with the guns. "A creature has gotten out," he tells me. "We need to run." I do my best to start running. I have more feeling in my legs, but the side effect he mentioned earlier comes roaring from my stomach. I push myself away from him and lean against the wall as I upchuck the water all over the floor. I continue vomiting as he rushes over to me. "I know you're sick, but we can't stop. We've got to keep moving. We can't be caught, but we also don't want to run into whatever is coming. We need to move." I nod and rush after him as he takes me by the hand. He leads me through several hallways, and then he ups and stops before we round another corner. I glance around the corner and see about twenty armed men and a few women at the other end who are set up behind a barrier. The man pulls me back around the corner and out of sight of the soldiers. "They're blocking our way of escape," he tells me, and then he peers around the corner. "But they don't seem to be coming after us. Maybe they're here not to capture us but–" The terrifying inhuman scream we heard before sounds through the hallway again and sends shivers throughout my body. He tells me, "We need to keep moving. We have one other escape route. Let's hurry before the thing beats us to it." He takes a firm hold of my wrist, and we run forward, fleeing away from the soldiers and the creature that seems to be pursuing us. "I don't know your name," I say, and then I ask, "Who are you and why are you helping me?" "You can call me Xavier," he replies. "R.G. sent me to assist in your escape." Before I have a chance to ask who R.G. is, the creature screams again. It sounds like it's only a few hallways back. Xavier says, "We need to run faster... It's gaining on us." We continue running, and then he drags me into a room with only one way in. He shuts and locks the door. "Why did we come in here?" He answers, "There's a small elevator that takes medical waste up to a furnace. There's room enough for you to go up. I just need to clear everything out of it." He unlocks the door to the small elevator by lifting up on a bar, and then he goes to work removing bags of waste from it as all I can do is stand back and watch while I try not to throw up. Bits and pieces of my memory slowly come back, and I remember someone was taking care of me. Her name... Her name was... I can't seem to remember her name or her face, but I believe this person is very important to me and when I think of her, I get a sense of warmth that wraps around me and makes me feel safe like a child in her mother's arms. I relax a little in this loving blanket, but then this other sensation of fear and horror moves in like a closet monster that has just crawled under my bed. The monster makes me want to flee from the memory, but the motherly arms that are blanketing me want me to remain in the memory so that I'll recall all. Something happened before the hyper-stasis chamber... something I'm afraid to remember. The monster yearns to surface and make it mine once again, but I fight the recollection. I war with myself to keep this buried moment in my life a secret. I begin to lose this battle. The memory starts to become mine again, sending a fright so deep and terrifying through my soul, I feel like I'm suffocating. The memory of the woman, whose name I can't remember, places her hand on my psyche's shoulder, and I turn my attention from the monster to her. The monster is scary, but the woman will be there and help me through the– "I'm almost done," Xavier tells me, interrupting my thoughts. "Come over here and climb in." "What about you?" "There's only room for you," he tells me. "Now listen carefully, and I'll tell you what to do once you reach the furnace room." The creature screams again, and it's right outside the door. It tries the knob but it's locked, so the creature starts pounding on the door to break it down. My whole being lights up with fear. "I can't leave you here," I tell Xavier. "That thing will kill you." "You are the one who is important here," he tells me. "R.G. has a plan for you." I insist, "Either we both go or we don't go at all!" The creature outside continues to beat at the door, and then it busts through and rushes in. I freeze as I stare at a monster right out of a horror movie. It stands about seven feet tall with reptile-like features and covered in green scales. The creature pauses and looks right at me as it says, "Look at you... look how you've changed." Is this the monster that crept from the closet and is hiding under my bed waiting to devour me? "Do I know you?" I manage to ask it. "I'm Kraken," it... she answers. "And you should remember me. I've killed you nearly a dozen times." Kraken looks me over, and then she says, "You don't have a weapon this time. I believe I'll have no problem disposing of you." Fear sweeps over me, but this time it's not for myself but the man who's standing behind me. I turn and shove Xavier into the small elevator, then shut the door, lock the bar back in place, and then hit the button, sending the elevator up. "Getting rid of the normal, good idea," Kraken tells me. "I have killed quite a few of them already." I turn back to her and as if I've done this dozens of dozens of times before, I ask, "Why do you want to kill me?" "Because you're the Pandora Project," she answers. "There's no other reason." "Pandora... that's not my name," I tell her. "I'm..." Most of my memories, including my name, still elude me. I'll have to be patient until they surface but first, I have to survive my encounter with this monster. Kraken peers at me for a long time, and then she says, "You act like you don't remember me." "Why do you say that?" She grins before she slithers out, "You aren't running!" I notice the red blood covering her long claws and that her body is full of bullet holes. "You're hurt," I say, and I notice how concerned I sound. Maybe I did know this creature before. "The soldiers tried to prevent me from coming out and stretching my claws. I took of their blood–" she tells me as she places a hand on one of her wounds, "–and they repaid me in kind." Kraken peers at me again as if she's trying to figure out what I'm thinking, and then she says, "You don't remember me, do you?" "My memory is a little fuzzy since leaving hyper-stasis," I admit to her. "I get a sense that I know you but–" "But what?" she asks. "Fear's not the first thing that comes to mind. It's more like... somehow we're alike. Somehow... we... we both shouldn't be in this place." She lessens her aggressive stance as she tells me, "Shredding you to bits without you knowing the reason why would be a pity. Why don't you tell me what you do remember? Maybe it will jog more of your memories." "I don't remember you at all. I do remember being forced into the hyper-stasis chamber and forced into hyper-stasis. There's a reason I was placed there. Someone was trying to prevent me from doing something." "Go on," she urges me. "What were you trying to do?" "I..." That particular detail of my memory is still vague. I do remember the distinct sound of– "Well," Kraken interrupts my thoughts. "What were you trying to do?" "I was trying to save someone... no... I still need to save someone. I need to go." "Memories are fickle things," Kraken tells me as if she knows something about me that she's holding to her own. "Memories make us who we are and glean the path before us. Our distorted and bloody intertwining-past comprises a great deal of who you are, but it seems to be my lot that our story is put on hold here. I believe we'll meet again but only when your story is over." I'm not sure what she means, so I ask, "Are you letting me go?" Kraken studies me for a few moments more and then moves away from the door, and I slowly move towards it. I start to head out when Xavier appears in the doorway. He's armed with a pipe, and he's holding a cell phone in his other hand. "It's okay," I tell him before he starts for Kraken. "She's going to let us go." He takes a step back and then tells me, "Come on. I found another way out for us." I turn back to Kraken and question her, "Do you want to come with us?" "No," she replies. "I'll wait here until you remember everything, and then I'll come find you, and we can finally finish everything." I nod and leave her to her fate, then I head out with Xavier, and we run through several hallways. I keep pace with him until a burst of memories hits me hard, and I double over. Many images and thoughts from my past slam into me, and it's painful to remember so much at once, but I'm thankful for the return of self. "What's wrong?" he questions me. "I remember now..." I tell him as I hold my throbbing head and still manage to smile as my purpose becomes joyfully clear. "I remember everything now." I force myself to straighten as I continue, "My name, my mission, and the person I need to save. We have to hurry before it's too late." Xavier lifts the cell phone he's been carrying to his ear and talks into it as if he's been on the phone with someone this whole time, "She says she remembers everything. Yes... yes... I understand. I'll make sure she gets out safely." He hangs up the cell phone and questions me, "Now what?" I look around the hallway and for the first time, I know where I am, so I turn away from him and say, "This way. We need to go this way." "Before we do that..." he starts, so I turn back to him, and he swings the pipe and hits me in the head. The hallway whirls around me as I crash to the floor. Xavier drops the pipe and hurries to my side with this look on his face like he hit me harder than he planned to. "I'm sorry, but I can't let you deviate from the path R.G. has set before you," he tells me as he removes another syringe from his lab coat pocket. "This will help reset you, and then you can begin again without any nasty memories hindering your fate." He injects me, drops the syringe, then removes another device from his pocket, and tells me, "Once I zap you with this, you won't remember anything from the past hour." I grab at his arms, but I find I don't have the strength to fight him off and that I'm losing consciousness as the head wound pulls me further down into the void I had just woken up from. I claw at him as the purpose I had yearned to remember slowly trickles away. I plead with him, desperate to hang on to what I just gained, "Don't take my memories... There's something important I need to do and there's someone important I need to save... Please... I can't forget about them, and I can't forget what I need to do. So much depends on me... Please... at least let me save them. Let me..." "I'm sorry but this needs to be done," Xavier interrupts me, then grabs hold of both my arms, and places the device on the back of my neck. Everything that I had remembered, the purpose I had finally grab hold of, they all slip away in a brilliance of light, and I remember no more. End the Pandora Project's view... Sometime later... Elsewhere in the Sanctum... The Chamber... "The Kraken Project just surrendered to our soldiers," the male supervisor reported to the Council. "It never even engaged the other project." "What of Pandora?" Mr. Morta inquired. "Our soldiers believe she escaped from the Sanctum." Ms. Nona said, "We should have three units of our soldiers give pursuit." "No need," Mr. Morta spoke. "There are other ways we can test Pandora." "Are you sure the project is ready?" Mr. Decuma inquired. "It just woke up from hyper-stasis. Maybe we should give it a few more weeks of conditioning before we begin the tests." "No, launch the Pandora Project," Mr. Morta instructed. "Let us see what it can do on its own." * * * 6:04 P.M... In another part of the city... Scattered streetlights partially lit an abandoned industrial district, and the wind howled, blowing through overgrown weeds and chilled the air of the blue-gray night. Over the years, a few trees and plants adapted to the limited artificial light along with a large variety of weeds. Nocturnal creatures; rats, mice, owls, and cats ruled the alleys and parks of the megacity of Noir. A black sedan slowly rolled down the street, and its headlights lit up the dark road. The vehicle stopped at the curb a few hundred yards away from Etna Toys Plant and Warehouse, then the four doors of the vehicle opened, and five men in brown suits exited the car. Each of them wore polarized spectacles with black mirror-like lenses, and the spectacles hid more than their eyes. Four of them removed a silver Beretta from their shoulder holster. The fifth man wore a Coffin Handled Bowie tucked in a belt, and the man tapped the hilt eager to draw the knife. Eerily in one accord, they turned their heads and stared at the rusted toy building as they awaited orders. A parking lot stood between them and their target. Within the Sanctum's Chamber... "All right people, let's stay focused," the male supervisor shouted as he and the female supervisor walked up and down the line of workstations. "This is the hour we've been waiting for!" "Has the Pandora Project been located?" Mr. Morta asked in a deep voice as he twirled a gold ring on his dark brown finger. "Yes, one of our best operatives, Argus, is watching Pandora," the smaller man, Mr. Decuma answered as he smoothed his hand down a bright orange tie. "Good... Good..." Mr. Morta said. "What does the operative have to report?" Some distance from Etna Toys... A man with shoulder-length blond hair wearing a black trench coat peered through specialized binoculars. Argus had positioned himself in an alley a block from the abandoned toy warehouse to watch Pandora. He noted the sedan across the street and the five men, and then he reported them to the Sanctum over a cell phone. Within the Sanctum's Chamber... The male supervisor handed an H.H.C. to the third member of the Council. Ms. Nona frowned as she looked over it, thinning her cherry-red lips which contrasted her powdery white skin. Her frame was the smallest of the members. She stated, "We have received a second report from our operative." She scanned the report a second time, disconcerted over the news and then added, "Argus has spotted five bio-mechas, and they are not Proto-Androids but a new model called Un-Men." "Un-Men?" Mr. Morta spoke, not as surprised as his female counterpart. "Only one department within the corporation is developing this line of bio-mechas." Disappointed over the untimely intrusion, he exhaled loudly and then stated, "The Factory has started their Un-Men tests. I had hoped they would wait." "You knew it might happen?" Mr. Decuma questioned as he rubbed his finger over a silver tie pin of the word "Fate". Mr. Morta nodded as he replied, "Yes, it was only a matter of time but it means–" "It means–" Ms. Nona interrupted, "–that the Factory has decided to go against the wishes of the Council." "How dare they!" Mr. Decuma uttered, and then he slammed his palms on the table as he stood and declared, "We must do something!" "But what?" Ms. Nona questioned. "More importantly," Mr. Morta started. "What are their plans for our child-like Pandora?" Back at Etna Toys... The wind kicked up sand and debris as the five men, the Un-Men, stood by the sedan. Their Internal Link or I-Link, not only connected them to the Factory but to each other and with the I-Link, they could think and move as one. They shut the sedan's doors and simultaneously walked toward the warehouse across the parking lot, but the one with the Bowie paused and turned, spotting a heat signature. The heat signature was of a human hiding in the darkness of an alley that was across the street from it, and the Un-Man could tell the human was watching them. The Un-Man's I-Link blazed orange through the right lens of its polarized spectacles as it processed the data. Argus moved his hand to the M4 assault rifle strapped over his shoulder as he tensed, not knowing what it would do. Argus had encountered a Proto-android before, and it had nearly killed him, but he had no idea what this new model was capable of. He decided to stay on the safe side and make it clear he wouldn't interfere with their mission, so he moved his hand away from the assault rifle and waited for its reaction. The Un-Man smirked at him, continued toward Etna, and joined its brethren. Argus was relieved it worked and grabbed a hold of the M4 as he moved across the street to continue the surveillance of the project. Within the Sanctum's Chamber... "The matter is confirmed. The Factory–" Ms. Nona emphasized the next word, "–has gone against our wishes." She looked at the larger man and questioned him, "What is our next move?" "Analyze and record," Mr. Morta answered. "Our agenda has not changed. The Un-Men will test Pandora for us." Within the dark Etna Toys Plant and Warehouse and among boxes of discarded toys and debris, a cot had been set up, and a lamp on a round end table stood beside it and lit up the area in a dim glow. The woman, Pandora, who was in her early thirties slept on the cot. She had a shaven head, and the gash on her forehead which Xavier had unintentionally given her, bled. The trickle of blood flowed past her brow, ran down the side of her face, and dripped to a pillow. The crimson liquid spotted the white cotton case. No other bedding covered the old and worn mattress. She wore a white V neck T-shirt, gray-black pants, and black hiking shoes. Her eyes rapidly moved underneath her closed eyelids as she dreamed, and her lips moved as she talked within the dream but there was no sound. Her inaudible narration continued until she spoke out loud, "A love that will not die." Her breathing increased, and her arms and legs jerked in mock movement as she envisioned herself running. Sweat speckled her forehead, and her face grimaced in determination as her mind replayed a memory; it was one that would mark her future with sorrow. Three shots rang out in the dream, then the horrible recollection caused her to scream, and she sat up and frantically searched the building as a panicked feeling urged her to flee. The Pandora Project's view... My heart thunders in my chest as I notice I'm alone and not in any immediate danger, so I calm down a little and remember part of the dream. I was running, but there's something I can't remember. Whatever it is, I think it's important enough to recall, so I strain to grasp at the fleeting images, but it's too late. They're gone. My head hurts, I'm very thirsty, and I feel a little queasy as I examine the old empty building more closely. Parts of teddy bears are scattered about a stack of boxes, and a layer of dust clings to everything like the building and machinery haven't been used in years. I remember more of the dream, not the images but the urgency I felt within it, and a sense that there's something I'm supposed to do or someone I'm supposed to help. The remnants of the dream fade, and I mentally try to grasp for a clue, but it's like trying to capture a dark phantom. The sensations of fear and anxiety remain with me along with the sound of the three shots, but nothing else of the dream remains and that bothers me. Was I pursuing someone or was someone chasing me? Was I the predator or the prey? I remain on the cot a little longer, hoping something will resurface and tell me how– I gasp and put a hand to my mouth as I realize something that deeply unsettles me, and the revelation frightens me more than not knowing what happened in the dream. I realize I don't know who I am. I can't remember anything past the moment I woke in this warehouse on this cot. I know I should be doing something, but I can't... I can't remember anything. Smothering terror oozes over me like the Blob from the classic horror movie, and its gelatinous glob eats away at my presence of mind, adding my frightened essence to itself. It'll do me no good to panic, and I mentally spray frigid air on the growing Blob, taking back my sanity from its frozen and cracked form. My head continues to hurt, so I touch my temple, feel a warm wet substance, and examine my bloody fingers. Did I hit my head or did someone hurt me? The thought that someone might have hurt me makes me a little on edge, so I move to the side of the cot, thinking of going to a hospital when I notice a second table; it's square and small and has a few items on it. I pick up a business card with an image of a flaming bird, flip it over, and find a barcode on its back. I set it down, pick up a note, and read it aloud. "Katharine..." I study the name, wondering if the name belongs to me. It doesn't sound familiar, so I continue reading, "Katharine, you must not fail. This is your last chance to redeem yourself. I know you can complete your mission, my dearest Kat. I am counting on you." The note's signed by R.G. I fold the paper, and then along with the card, I stuff them in my back pocket and decide I need to find help for the wound on my head in case it's serious. I spot a door and start to stand and move for it when a flash of a violent memory makes me turn my attention back to a metal case on the table. Why did I ignore this item? I stretch my hand for it. Why does my heart pound in dread when I reach for it? I pause before grabbing it as a sinking feeling sweeps over me, and I pull my hand back and decide it's best to ignore the enigma. I look at the last object on the table and pick it up; it's a small silver box shaped like a treasure chest and has a small raised star the size of a dime on its lid. I examine the box and then carefully open it, and its tune sweetly rings in my ears. The tune reminds me of the opening of a classical piece, but whose? Bach, Beethoven, and Mozart come to mind, but the piece doesn't seem to belong to either of them, and then I realize I'm wrong; it has elements from each like it's a mixture of several openings playing on top of each other. I close my eyes, letting the music sink in as a calming solace sweeps over me, and the urgency to leave the building slips away as I focus on the tune. While I'm in this state of relaxation and before I'm completely engulfed by it, I wonder about a few things. How do I know all those composers' names and that the piece is Ginn L. Irynkissgthie's Unfinished Melody? Why do I know some things but my own name's lost to me? Unfinished Melody is short; it plays about thirty seconds, and then it starts over and plays over and over in a hypnotic flow. I gaze at the music box, hearing nothing but the haunting arrangement of compound sounds. My fear and anxiety vanish, and my body relaxes to an absolute state of nirvana as the tune lulls me into a trance. I slowly closed my eyes and enter a peaceful place within my mind. The place is a subconscious oasis to the confusion and dread I experienced before the melody. The tune has a calming effect on me and as I sit there in an ecstatic state, sounds outside of the building become louder and clearer. The wind howls, rustling the leaves of trees and overgrown bushes. A moth repeatedly taps the glass of a street light drawn to the artificial flame as four car doors slam. A cricket chirps, and an owl swoops, landing on a squeaking mouse. lub-DUB... lub-DUB... I open my eyes as my heart thumps so loud I can hear it, and I experience an overwhelming sense of hysteria. I put a hand on my chest, not in pain but in horror as I realize something's wrong. I close the music box, place it in my left thigh pocket, and search the building and find it's still empty. I know I'm in danger, but from what? I glance at the case I ignored, and a deep dread lifts in me like a leviathan rising from the ocean's abyss. I freeze as I stare at the metal container; it's like I know what's inside, but my mind refuses to grasp the knowledge and instead, I want to run away from it like it's a maniac chasing me. I disregard my apprehension about the case and turn my attention back to my pounding heart and the urgency screaming at me to leave. The longer I wait to act, the more anxious and terrified I become. I feel like a deer standing in an open meadow, sensing a predator prowling towards me through the tall grass, and I fear I'll be attacked at any moment and from any direction. I get off the cot and start to run when the lamp beside me shatters, and the surrounding area plunges into darkness as pieces of the lamp ping to the concrete floor. I shriek, realizing someone shot at me, and I dive as more bullets whizz overhead. I turn the table over for cover, the case falls, knocking itself open, and a metal object slides from it. Far from the cot, light from the street dimly shows through Etna's dusty windows. The light provides limited illumination within the building and within its radius, I see a black gun. I gasp, staring at the instrument of death that's an arm's length away. The weapon's familiar to me and yet it seems like some horrendous alien creature that has traveled from a distant planet to wreak havoc on my world. The monster will devour me if it gets a chance, so I scoot a few feet away from the gun. I would escape its psychological jaws trying to sink their terror-inducing teeth into me, but there are other things in the building I have to worry about, so I slowly peek over the table and spot two armed men. End the Pandora Project's view... She didn't realize they were actually bio-mechas, and as far as Kat knew, they were ordinary men trying to kill her. They prepared to fire again, and her heart thumped harder as if it would tear through her chest. lub-DUB... lub-DUB... Unknown to her, the muscle coursed artificial adrenaline through her blood, and the synthetic hormone reacted with her body by increasing her heart rate, dilating her pupils, and elevating her blood sugar. Horrified by what was going on within her body and the men shooting at her, she put her hand to her chest again, realizing her heart wasn't acting naturally. She wondered if she was having a heart attack. The two Un-Men moved toward her position after calculating the best way to kill her. They aimed their weapons at her position with only one goal in mind. One of them stated in a monotone voice, "Target acquired, moving forward with termination." Chapter Two The Rogue 6:43 P.M... The Sanctum... Within the dark Chamber... Desk lamps lit up the faces of the analysts and the supervisors as they observed Pandora's data with interest. The project was very important to the Council and so it was very important to them. "Lower the center screen," Mr. Morta commanded from the middle of the room. A screen four by eight-foot lowered long ways from the ceiling, and it positioned above the Council and in the center of their table. The screen could be viewed from both sides, and it displayed an outline of a female body. Each of the major organs was visible on the screen and had bio-data streaming beside them, and the heart had such a large amount of information streaming beside it that the data overlapped the other organs. An alarm sounded within the Chamber and stopped, and at the top of the bio-screen in bold red letters blinked "First Evolvement Achieved". Prattle between the analysts started as charged enthusiasm filled the Chamber, and the supervisors quickly quieted the frivolous talk, knowing their employers would be irritated with them. "Good... Good..." Mr. Morta said. "Pandora has achieved Ginn's Alpha Phase." "You mean Arcamedes' First Evolvement," Mr. Decuma corrected. Mr. Morta questioned, "Does it matter by which name we call it? It is the same thing. It is still the beginning of Pandora's metamorphosis." "True, but will Pandora take the path Ginn laid out or will Pandora take Arcamedes'?" Ms. Nona asked. "What Pandora decides to do will determine which name the stages go by." "Until the path is clear–" Mr. Morta started, "–both men's descriptions can be used." He studied the center screen's data on his laptop, and then he spoke, "Pandora's first stage is the ability to sense the presence of bio-mechas as predicted by both men, and Pandora's body is preparing itself to combat the Un-Men. Look at the subject's bio-electricity. The levels are high enough to trigger the Beta Phase." "Yes," Ms. Nona said. "The genetically altered epinephrine hormone we created for Pandora dubbed Ultra-Epi acts as a supercharged neurotransmitter. If Pandora can reach the next stage, it should have no difficulty dispatching the Un-Men." " 'If' is the keyword," Mr. Decuma spoke as he tapped across an H.H.C. touch screen and pulled up reports from their operative. "Argus details that Pandora has not responded to the Un-Men's presence." Mr. Decuma turned to his laptop as he stated a question, "Can Pandora achieve the Second Evolvement?" He typed on the keyboard, pulling up more reports. "Pandora seems to be withstanding the conditioning." He stated with concern, "If it does not react soon, the subject will die and the Pandora Project will end." "Patience," Mr. Morta said. "We did not blindly pick the subject. Wait and see what it is capable of." Back at Etna Toys... Katharine's view... My heart revs like the pistons in a race car as I hide behind the overturned table. Why are the men trying to kill me? Did I do something to them? I glance at the gun lying on the floor beside its open case not too far from me. Or am I a wanted person? The men fire again, one of the bullets grazes my left shoulder, and the pain triggers a latent instinct within me. I scurry over to the gun, grab a magazine sitting in its case, and insert it into the Beretta with mechanical precision as if I had been programmed to do so without conscious thought. I pull the sliding block, it makes a metal clicking sound, and then I wildly fire six shots over the cot and miss. I freeze at hearing the men's guns cocking and then something inside me clicks like a switch. A bombardment of information assaults my mind like someone's forcibly downloading all this information right into my brain. Details I shouldn't know, I couldn't possibly know if I was normal, invade my thoughts. My body is changing, and it's scaring the crap out of me but for some reason, I know what's happening to me. The electrical field or e-field of my body changes, and the impulses that would normally travel down the optic nerve surges and causes a split feed. Part of this electricity rushes across my irises and gives my eyes a blue-electrical glow. I can't see this happening and yet, I can see this happening to me. It doesn't hurt, it actually feels good for some reason, but it still scares me. I want to lift my hands and cover both of my eyes like they're on fire to prevent the charged energy from escaping my body. I want to do this, but I don't. Instead, I fire four times like I'd been born with a gun in my hand. I hit one man in the forehead and throat and the other one in the heart and lung. It's like a trained soldier has taken over my body, and I don't realize what I'm doing till it's over. The one I shot in the head collapses to his knees and falls back as the other one fires at me again. I move back to the overturned table, wondering if the one man's wearing a bulletproof vest. I take a deep breath, rise, return fire, and the bullet hits the second man in the head. He also falls to the floor. Silence follows, and it's a maddening silence that clears my head, lets me think, and lets me realize. My fear turns to uncertainty and uncertainty to self-loathing. I slump to the floor, lean against the table, and bow my head. I can't believe I'm the one who committed the violent actions against those men. I stare at the gun on my lap, trying to distance myself from the incident and fail. Why am I good at killing? Why did I feel nothing for the men I murdered? I put a hand to my mouth as a little bile comes up. I swallow, forcing the bile back down my throat, and it burns all the way, searing my guilt into my soul. Is this the kind of person I am? Am I an emotionless killer? End Katharine's view... Within the Chamber... Mr. Morta cheered, "There!" Analysts and supervisors high-fived each other. Mr. Morta looked at the center screen as "Second Evolvement Achieved" brightly flashed from it, and then he said, "The Beta Phase of Pandora's metamorphosis has successfully been reached." He reviewed a report from Argus. "Our operative has seen Pandora's extraordinary shooting ability, and he believes when Pandora is in the Beta Phase, it cannot miss. It has far exceeded our expectations for the Beta Phase. We believed Pandora would have an aptness for terminating bio-mechas but this..." "Yes," Ms. Nona agreed. "It will be a useful skill." Mr. Decuma interjected, "If it is true." "The data supports it and Argus witnessed it," Mr. Morta stated and then inquired, "What more do you need to believe?" Mr. Decuma replied, "More data perhaps or–" "I want to know," Ms. Nona interrupted, excited about the outcome, and then she questioned, "Do you think Pandora can reach the Gamma Phase today?" "I believe we are jumping ahead," Mr. Morta replied. "There are still three Un-Men remaining." "Yes, and does Pandora have skill or is it mere luck?" Mr. Decuma asked. "More than half of the Un-Men remain. Can it defeat them as easily as the first two?" At Etna Toys... Katharine's view... Leaves and other debris blow in through the open front door as I stand and make my way on shaky legs to the men I've gunned down. I still feel queasy as if at any moment I'll spill my guts all over the floor as guilt continues to shame me to pain and when I reach the men's side, I find a black oil like liquid oozing from the hole in their heads. They aren't human, they're... I remove the polarized spectacles of one, revealing not fleshy eyes but glassy robotic ones. The colored orbs shudder as power surges through its body, the spheres bug out, and its hands gnarl with the mechanical pangs of death. I stare at its eyes. The red rings with black centers show no spark of life. They're merely windows to the soulless. Relief pours over me as I realize they're not human. I didn't kill anyone, and I'm not a murderer but... Did I know it before I shot them or am I still a cold-blooded killer? My queasiness eases up a little, but my confusion remains as I realize they're bio-mechas, model Un-Men. Why do I know this fact when I can't remember the simplest thing like my name? I search them, find a spare magazine on each of them, and place the ammo in my right thigh pocket. lub-DUB... lub-DUB... I sense more bio-mechas and this time, I know their location. It's like I'm connected to them somehow. Three of them walk the grounds outside less than fifteen feet away from me, and they're making their way in here. I frantically search the plant for an escape as the Un-Men split up, and one of them walks through a side entrance. The Un-Man fires at me as I run and take cover behind a row of machinery. Sparks fly as bullets ricochet off of metal, and I cover my head. During the attack, I lose my concentration and the position of the other two, so I blindly dash for the front door as more bullets whizz by. I return fire and hit my mark, and then I continue to the door. I glance back at the third Un-Man as it lies face down. I try to regain the position of the last two Un-Men, but they suddenly appear in the doorway in front of me. I try to stop my forward momentum, but I can't and run into one. It's like running into a wall, and I bounce and fall backward and then with speed that can't be normal, I fire twice before landing on my side. I strike the floor hard and knock the wind out of me. The first shot disables the Un-Man with the gun, but the one with the Bowie sidesteps my second shot with electrical speed as if the Un-Man anticipated my actions before I took them. I inhale, sucking in needed air as I hold my hurting ribs. The Un-Man draws its large knife and stares at me curiously. None of the others had done that, and it creeps me out to the point that I'm more afraid of it than any of the others. The dot of light I see in its sunglasses glows brighter and brighter until it appears as if half the Un-Man's face is burning. I'm looking at some sort of demon! "The Pandora Project..." the Un-Man sings out, not in the usual monotone of its brethren. The orange colored dot-light changes to a deep red, a blood-red, and the Un-Man gazes at me as if probing my soul. "Pandora..." Its voice is sadistically mellow and toys with me, making me feel violated. "Pandora, I have found you." The Un-Man smiles as if it takes pleasure in the hunt, and it states, "Target acquired." It takes a step towards me, and I scurry backward on my hands and feet as the Un-Man says, "Moving forward with termination." It lunges for me with the blade and misses as I roll out of the way. The Un-Man's blade strikes the concrete, and the force cuts into the floor. I rise to one knee some distance from it, aim, and pull the trigger. Nothing happens! The gun's empty! I pull the trigger, again and again, hoping a bullet will magically materialize and fire. The Un-Man slowly stands from its kneeling position, takes two quick steps towards me, and kicks me in the ribs. I grab my side and hurry to my feet, pushing through the pain as the Un-Man slashes towards me. I leap back and defensively lift my hands, and the blade cuts across my left forearm. I cry out in pain as blood splatters to the gray floor as the Un-Man finishes its swipe. The Un-Man wipes the red plasma from the blade with its fingers, and its face beams as if relishing in the combat. "The Pandora Project," it whispers, fooling with me as if I'm some insect it's going to squash. "Pan... dora..." The Un-Man attacks again with the blade, and the air screams with each slash as if the knife cuts open its airy belly and spills out its gaseous guts. The Un-Man coos, "Pandora, I have found you." I barely evade the attacks and then run, rushing deeper into the dark building. I'm so afraid... I want someone to save me. I don't want to be here. Someone help me... I continue running as dread molests my entire being. I have to escape this nightmare, so I keep looking around as I tell myself it's because I'm searching for a way out, but I can't fool myself. I'm hoping someone will appear. I'm hoping someone will be my Superman or Lassie, but no one comes to my rescue. I'm on my own, and as much as I don't want to be on my own, the fact still chases after me intent to destroy me as much as the Un-Man wishes me harm. I keep fleeing as I eject the empty magazine from the Beretta, drop it to the floor, and pull one from my pocket. I insert the new one in the magazine well, chamber a round, and fire twice behind me, and the Un-Man continues after me, ducking the shots. Is this what I was dreaming about? I'm not the predator but the prey? End Katharine's view... Within the Chamber... Mr. Morta said, "Not bad for the opening test. Pandora achieved the first two phases. It delivered uncanny accuracy with the weapon we provided and successfully sensed the bio-mechas and once it has achieved all the phases, Pandora will be the perfect weapon." He drummed his fingers together as he ordered, "Set up another test so we may analyze the range of its gifts and send Pandora down the path to perfection." Mr. Decuma nodded and typed up the documentation for the next test, and then he asked the male supervisor standing next to him, "Are the new reports on the project ready?" "They'll be right over," he answered and then went back over to the analysts and within a minute, the supervisor approached, stating, "Here are the reports you requested on her, Mr. Decuma." "Her?" the Council said in unison. "Yes, her," the supervisor answered. He was taken aback by their reaction and asked, "Did I say something wrong?" "We do not refer to Pandora as she or her," Mr. Decuma reprimanded. "It is an experiment and is to be referred to as such." In disdain, he added, "To say she or her in reference implies Pandora has rights." Mr. Decuma made it quite clear as he stated, "It has none." "Of course, Mr. Decuma," the supervisor apologized as he handed him the H.H.C. "My error. It won't happen again." He returned to monitoring the analysts. Ms. Nona scanned the bio-data on the large center screen and then said, "There seems to be no adverse reaction to the Ultra-Epi, though, complications could arise in the future. Also, Pandora's body is not rejecting the adrenal gland we genetically altered to create the supercharged epinephrine." She made a few notes. "We will have to monitor Pandora for any palpitations, tachycardia, anxiety, headaches, tremors, acute pulmonary edema, and hypertension." Mr. Morta stated, "We will see if it was wise to alter the gland instead of administering injections." Mr. Decuma finished setting up the test, and then he said, "The Factory will be more than happy to assist us in the next field trial as one of our sister departments in the Sphinx Corporation." "The fact that they are developing the Un-Men as their new line of bio-mecha assassins does not hurt us either," Ms. Nona added. "Yes," Mr. Morta agreed. "The Factory's earlier line of bodyguards was very profitable for the Sphinx Corporation, and now the Factory hopes to improve their power and standing by releasing an unmatched line of bio-mecha assassins. Pandora is an ideal forum to refine the Un-Men's programming." He smiled, pleased with the project, and then he added, "With Pandora's help, the Factory will be able to create the perfect killing machines, and in turn, the Factory will help us test Pandora and help Pandora achieve its purpose. The one seen by Ginn that will–" "Or Arcamedes," Mr. Decuma interrupted. "We still do not know the path it will take." Ms. Nona stated, "You are correct and only time will reveal its path." The female supervisor handed the councilwoman a report, and Ms. Nona said, "There seems to be a problem. Pandora has been unable to disable one of the Un-Men." Ms. Nona re-checked the report, and then she stated, "It is a Type Four model." "Terminate the test," Mr. Morta ordered, sitting upright. "Request that the Factory recall its bio-mecha. Pandora destroyed four of the five Un-Men. It has done exceptionally well." "The Factory reports a problem. The Un-Man has ignored its recall," Mr. Decuma relayed. "It seems they have a rogue on their hands." "A rogue, you say?" Mr. Morta questioned. "The Un-Man must be exceptional in its own right to have survived this long against Pandora. The very fact of it is most interesting." "Yes, like I said a rogue," Mr. Decuma answered and then asked, "Shall I have Argus assist the project?" "No, not at this time," Mr. Morta replied, and then he calmly folded his hands, leaned back in the chair, and spoke, "Pandora must learn to survive on its own. We not only need to develop Pandora's untested body but its young undeveloped mind and character. What better way to develop character than to face adversity? In the past, great warriors went up against other great warriors to test their mettle. Strength and endurance grow through conflict as steel sharpens steel, and so the Rogue will be Pandora's adversary." End sample. Download for free from Amazon Kindle, Google Play Google Books, Barnes and Noble Nook, Apple Books iTunes iBooks, Kobo / Walmart ebooks. Go to my website to find links. 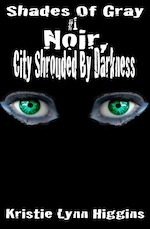 http://www.kristielynnhiggins.com/page1.html Shades of Gray #1 Noir, City Shrouded By Darkness is a free ebook in the apocalyptic science fiction series. A woman, Kimberly Griffin, a Life Closer ( legal assassin ) lives a bleak life until she runs into Kat, an experiment known as the Pandora Project with no memory of her past. They exist in a dark world where Dry Clouds cover the sun causing endless night. Download this sci-fi dystopian ebook and read about this friendship that starts out as harsh and unforgiving but as the series progresses turns into a friendship that can endure the hardships of theirs lives and pushes them forward to discover the truth about a murder of someone close to Kim and drastic truth to Kat's past. Assassin creed like setting in a world where murders can get their fix. Legal assassins known as Life Closers. Read Shades of Gray #1 Noir, City Shrouded By Darkness for "FREE" and then read Shades of Gray #2 From Moscow, With Love also for free and dive into this exciting scifi action adventure thriller mystery series. http://www.kristielynnhiggins.com/page1.html I am author Kristie Lynn Higgins and I write novels, novellas, short stories, and short shorts in science fiction, fantasy, and horror and currently have over forty ebooks with over ten free to download and read. The genres I write in include science fiction fantasy, horror tales, fantasy and sword, epic fantasy, dark fantasy, action adventure, thriller, mystery, suspense, dystopia, apocalyptic, sci-fi, young adult, urban fantasy, monsters, escape room, survival, fairy tales, action-adventure, scifi, classic fairy tales, dragons, vampires, werewolves, sword and sorcery. I have many more books, short stories, novellas, and novels in the following genres: science fiction, fantasy, horror, action-adventure, apocalyptic, dystopian, mystery, thrillers, suspense, fairy tales, sci-fi, legends. Check out my other free ebooks. www.KristieLynnHiggins.com A world in endless night... A world where assassinations have become legal... A world where corporations freely experiment on their own citizens... www.KristieLynnHiggins.com Check out my other free start books from my other four series in Science Fiction, Fantasy, and Horror. Shades of Gray #1 Noir, City Shrouded By Darkness is a free ebook in the apocalyptic science fiction series. A woman, Kimberly Griffin, a Life Closer ( legal assassin ) lives a bleak life until she runs into Kat, an experiment known as the Pandora Project with no memory of her past. They exist in a dark world where Dry Clouds cover the sun causing endless night. Download this sci-fi dystopian ebook and read about this friendship that starts out as harsh and unforgiving but as the series progresses turns into a friendship that can endure the hardships of their lives and pushes them forward to discover the truth about a murder of someone close to Kim and drastic truth to Kat's past. This post-apocalyptic science fiction series is a binge-worthy series. The beginning of this dystopian science fiction story has Dry Clouds devastate the land, causing eternal night. Binge worthy novel series to take your mind away from the everyday. Post apocalyptic thriller suspense for hours of entertainment. Dystopia society. Supernatural Young Adult Novel, Horror YA Novel, Science Fiction Fantasy YA Novel, Supernatural YA Novel, Fantasy Young Adult Novel, Science Fiction Fantasy Young Adult Novel, Young Adult Coming of age; Young Adult Developing relationships: both friends and family; Young Adult Survival; Young Adult Heroism; Young Adult Discovery / the quest, YA Coming of age; YA Developing relationships: both friends and family; YA Survival; YA Heroism; YA Discovery / the quest If you like young adult fiction or just science fiction in general, you love this series. A style close to young adult fiction. Free science fiction novel. Free science fiction book. Free science fiction story. Free samples of books. Free sample of ebook. Free sample of novel. Free samples of short stories. Writing that young adults can enjoy. Free young adult science fiction novel. Free young adult science fiction book. Free young adult science fiction story. Free samples of young adult books. Free sample of young adult ebook. Free sample of young adult novel. Free samples of young adult short stories. Free YA science fiction novel. Free YA science fiction book. Free YA science fiction story. Free samples of YA books. Free sample of YA ebook. Free sample of YA novel. Free samples of YA short stories. Free horror novel. Free horror book. Free horror story. Free young adult horror novel. Free young adult horror book. Free young adult horror story. Free YA horror novel. Free YA horror book. Free YA horror story. Free Survival novel. Free Survival book. Free Survival story. Free young adult Survival novel. Free young adult Survival book. Free young adult Survival story. Free YA Survival novel. Free YA Survival book. Free YA Survival story. Free Supernatural novel. Free Supernatural book. Free Supernatural story. Free young adult Supernatural novel. Free young adult Supernatural book. Free young adult Supernatural story. Free YA Supernatural novel. Free YA Supernatural book. Free YA Supernatural story. Free action adventure novel. Free action adventure book. Free action adventure story. Free young adult action adventure novel. Free young adult action adventure book. Free young adult-action adventure story. Free YA action adventure novel. Free YA action adventure book. Free YA action-adventure story. Free mystery novel. Free mystery book. Free mystery story. Free young adult mystery novel. Free young adult mystery book. Free young adult mystery story. Free YA mystery novel. Free YA mystery book. Free YA mystery story. 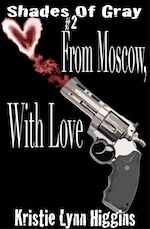 Free thriller novel. Free thriller book. Free thriller story. Free young adult thriller novel. Free young adult thriller book. Free young adult thriller story. Free YA thriller novel. Free YA thriller book. Free YA thriller story. Free apocalyptic novel. Free apocalyptic book. Free apocalyptic story. Free young adult apocalyptic novel. Free young adult apocalyptic book. Free young adult apocalyptic story. Free YA apocalyptic novel. Free YA apocalyptic book. Free YA apocalyptic story. Free dystopian novel. Free dystopian book. Free dystopian story. Free young adult dystopian novel. Free young adult dystopian book. Free young adult dystopian story. Free YA dystopian novel. Free YA dystopian book. Free YA dystopian story. Free post-apocalyptic novel. Free post-apocalyptic book. Free post-apocalyptic story. Free young adult post-apocalyptic novel. Free young adult post-apocalyptic book. Free young adult post-apocalyptic story. Free YA post-apocalyptic novel. Free YA post-apocalyptic book. Free YA post-apocalyptic story. Free dystopia novel. Free dystopia book. Free dystopia story. Free young adult dystopia novel. Free young adult dystopia book. Free young adult dystopia story. Free YA dystopia novel. Free YA dystopia book. Free YA dystopia story.